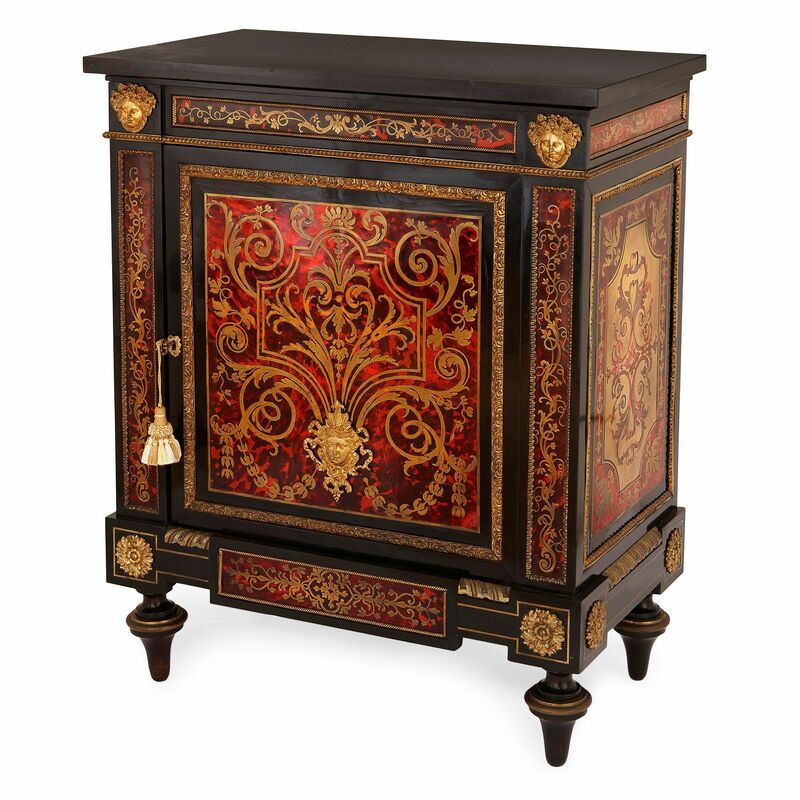 This Baroque style cabinet exhibits Boulle marquetry of exceptional quality, and is notable for the fine detail rendered in brass and rich, rouge tortoiseshell. 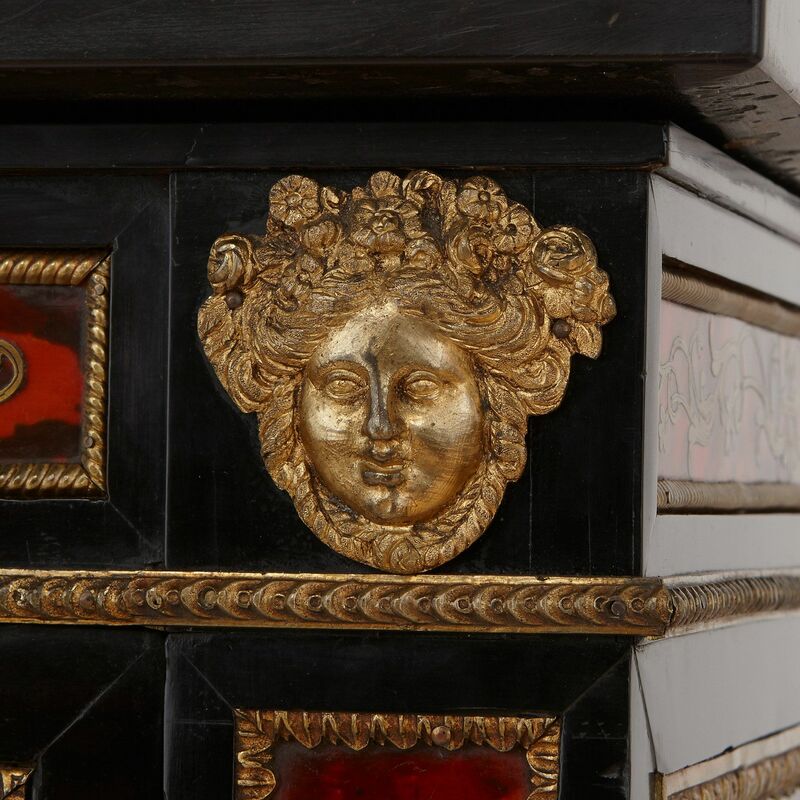 The cabinet is of a rectangular plan, surmounted with a black, marble top and is made in the style of the highly celebrated cabinetmaker to King Louis XIV, Andre-Charles Boulle (French, 1642-1732). 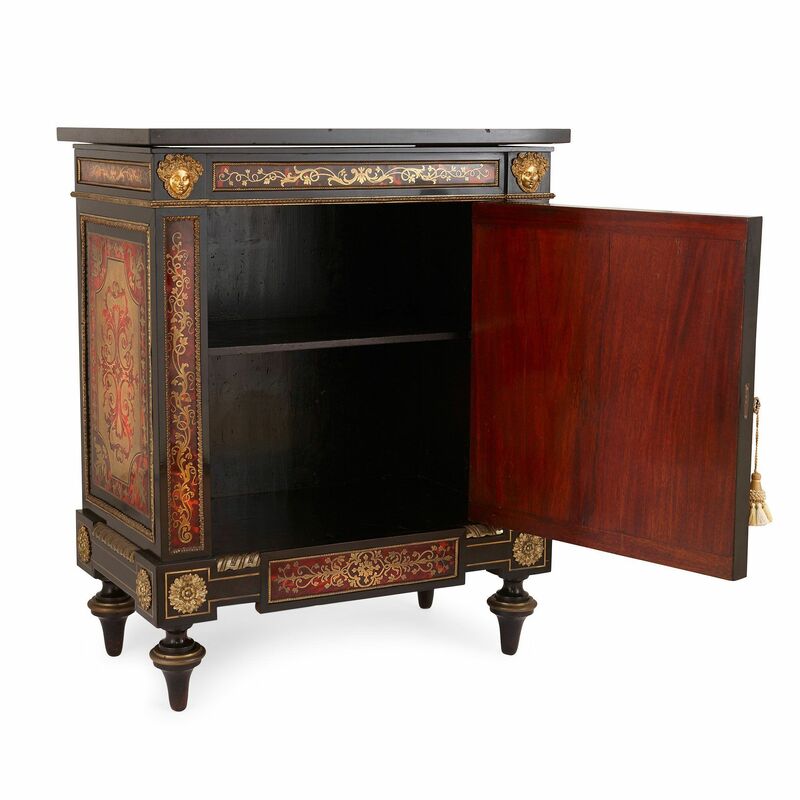 The ebonised wood cabinet incorporates both premiere-partie and contre-partie Boulle marquetry: premiere-partie with brass inlaid in tortoiseshell, and contre-partie with tortoiseshell inlaid in brass. 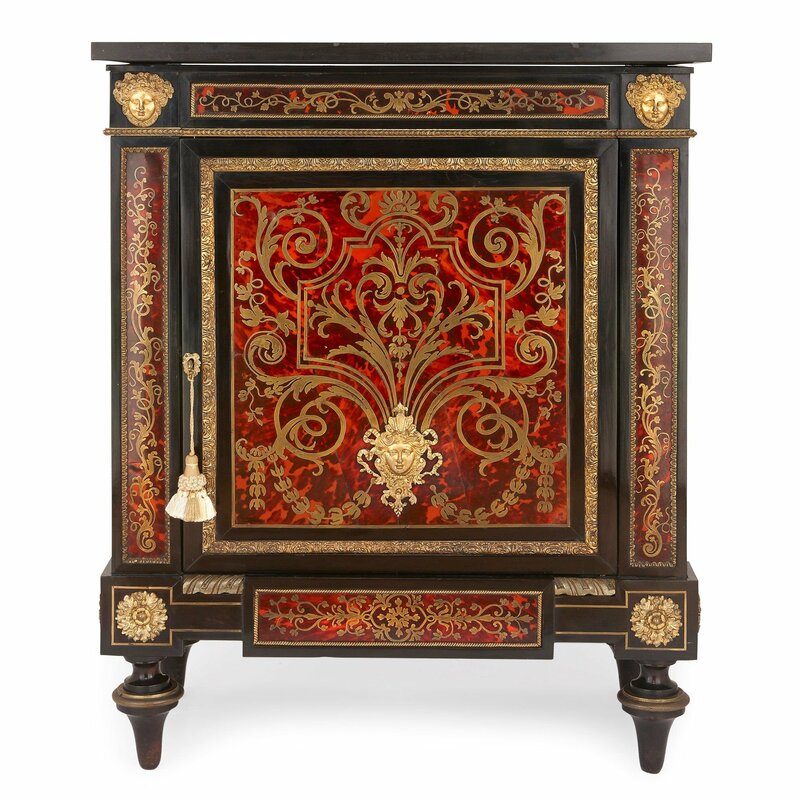 A Boulle premiere-partie marquetry frieze of arabesque designs runs below the top, with twin ormolu faces mounted to the front upper corners. 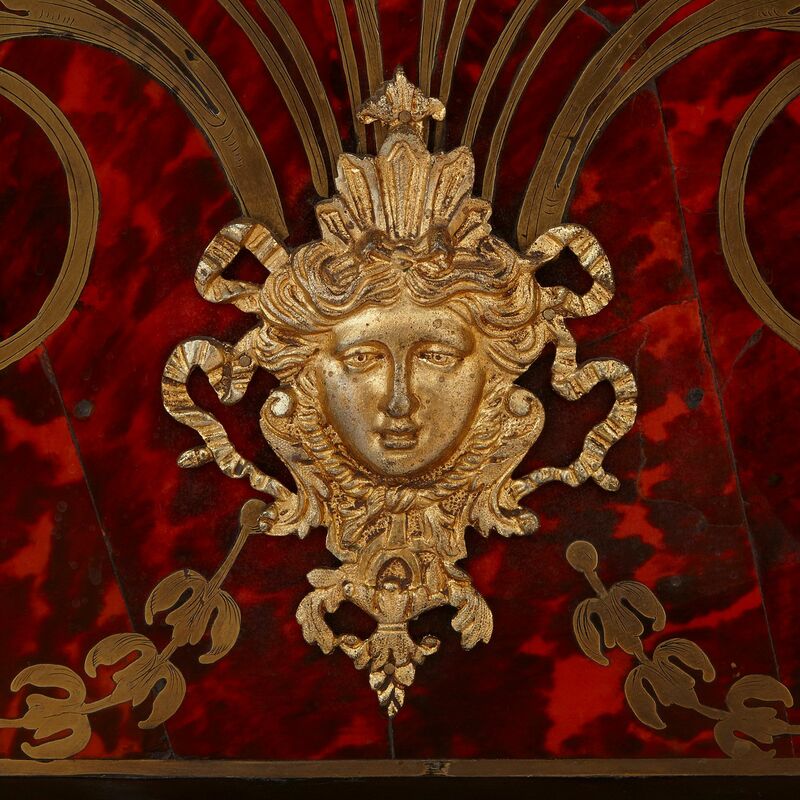 There is a large, square, premiere-partie marquetry panel of similar design to the centre front section of the cabinet, mounted with an ormolu crowned head, surrounded within an ormolu border. 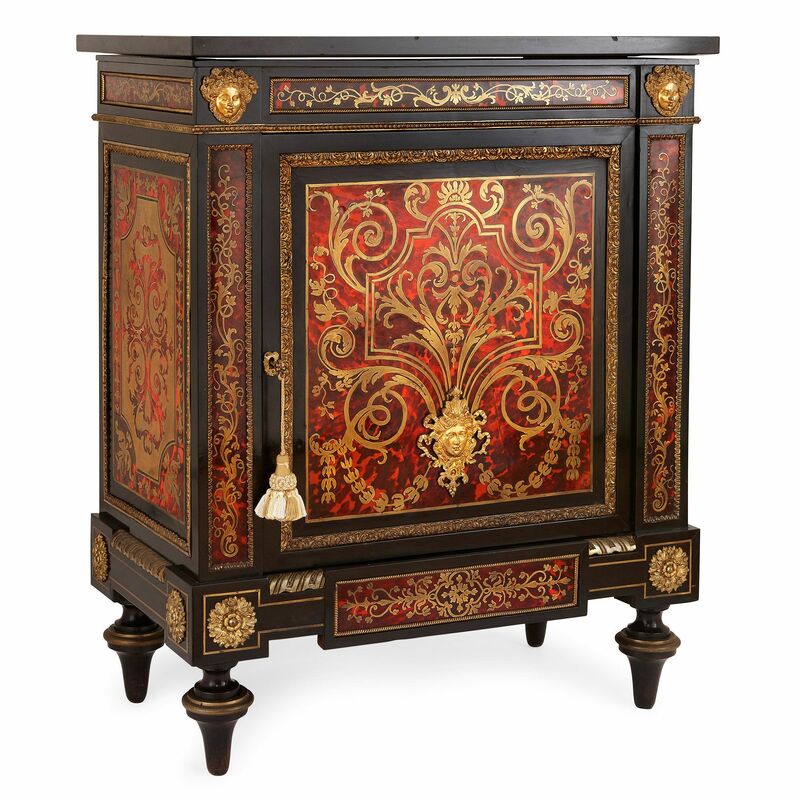 The sides have large, rectangular panels with contre-partie marquetry, similarly bordered with ormolu. 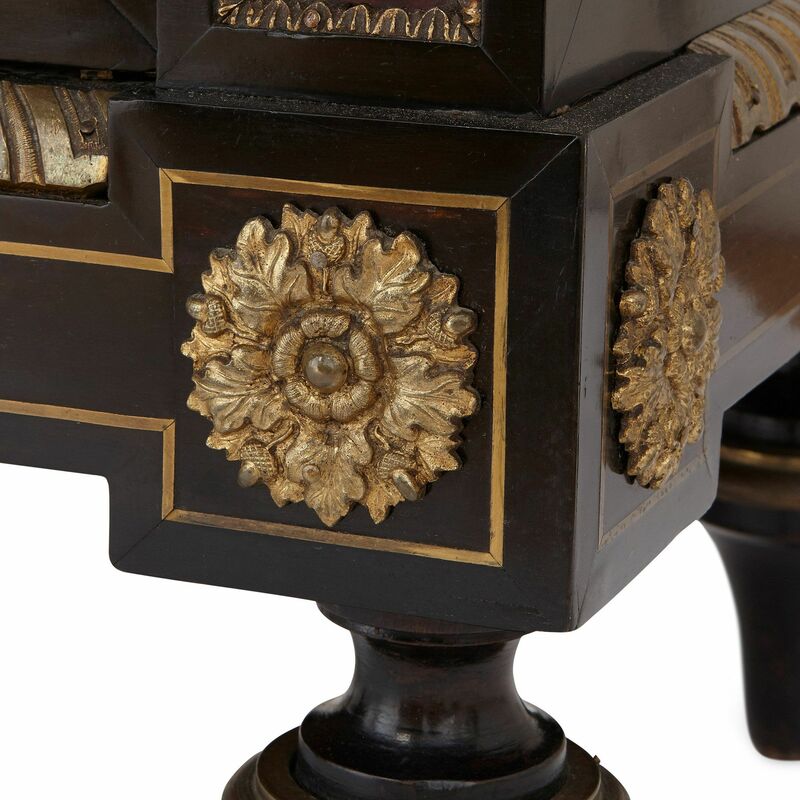 To the lower section is a small, rectangular premiere-partie marquetry panel to the centre front, and ormolu flowers to each of the corners on the front and sides, all sat on four, toupie feet.